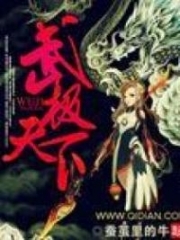 You’re reading novel The Demonic King Chases His Wife: The Rebellious Good-for-Nothing Miss Chapter 264 online at LightNovelFree.com. Please use the follow button to get notification about the latest chapter next time when you visit LightNovelFree.com. Use F11 button to read novel in full-screen(PC only). Drop by anytime you want to read free – fast – latest novel. It’s great if you could leave a comment, share your opinion about the new chapters, new novel with others on the internet. We’ll do our best to bring you the finest, latest novel everyday. Enjoy! “Don’t get ahead of yourself.” Su Luo furiously glared at him. “Obedient Luo Luo, don’t be angry. In fact, you have also thought that Liu Chengfeng has surely sent a countless number of people to hide by my manor’s gate to wait for you. Little Luo Luo, once you go out, you will walk into a trap. My family’s little Luo Luo wouldn’t be that dumb right?” Nangong Liuyun had both hands crossed in front of his chest, with a sinister smile on his face. “If Your Highness Prince Jin were to issue a few words, how could Liu Chengfeng dare not withdraw his people?” Su Luo grinded her teeth and coldly responded. In fact, this sentence was full of many meanings, it also made her att.i.tude very clear. Tonight, she really had to stay here. Without Nangong Liuyun’s order, she really couldn’t leave Prince Jin’s Royal Manor. Even if she was able to leave Prince Jin’s Royal Manor, she still didn’t know how dangerous it was outside of the manor. Only, tonight was doomed to not be peaceful. Su Luo had already been somewhat mentally prepared, but the final development in this matter had gone beyond her expectations. The sky appeared as if draped in a black layer of light muslin. In the lonely sky hung a few remnant stars, giving off a dim and bleak l.u.s.ter. Su Luo came to her senses from her contemplation, glancing at the color of the sky, she discovered it was pretty late. “Where is my room?” Su Luo asked with a frown after pulling a maid who was hurriedly pa.s.sing by to a stop. Half of the night had already pa.s.sed, and yet no one had come to inform her where she should sleep tonight. Su Luo’s expression said she couldn’t understand this. Was her appearance that scary? Why was it that when the servant saw her, it was as if she had seen a ghost? Su Luo somewhat dumbfoundedly touched her own delicate and beautiful cheeks. This face ought to be quite pretty. Once she grew up a bit, she ought to be a complete, devastatingly beautiful little belle. However, the maid kneeling on the ground continuously begged for forgiveness. She was beseeching Su Luo to let her go. “His Highness is at a bedroom in the Qin Palace courtyard.” The maid very carefully said. “Fine, you can go now.” Su Luo waved her hand and sent the maid away. In Prince Jin’s Royal Manor for a brief half day period, Su Luo didn’t discover anything else, but she found that the reverence of the servants here for His Highness Prince Jin came from the bottom of their hearts. 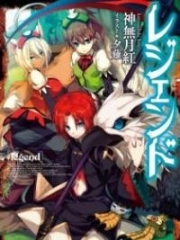 You're reading novel The Demonic King Chases His Wife: The Rebellious Good-for-Nothing Miss Chapter 264 online at LightNovelFree.com. You can use the follow function to bookmark your favorite novel ( Only for registered users ). If you find any errors ( broken links, can't load photos, etc.. ), Please let us know so we can fix it as soon as possible. And when you start a conversation or debate about a certain topic with other people, please do not offend them just because you don't like their opinions. You're reading The Demonic King Chases His Wife: The Rebellious Good-for-Nothing Miss Chapter 264. This novel has been translated by Updating. Author: Su Xiao Nuan,苏小暖 already has 14988 views. Current Time is Apr-21-2019 02:20:53 AM.